This page has been designed to help residents who would like to redevelop their property and wish to know how the planning process operates on Northwick Park. 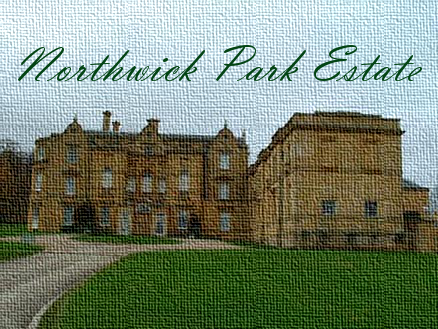 Northwick Park sits in an Area of Outstanding Natural Beauty within the jurisdiction of Cotswold District Council. There are no permitted development rights on the Park, and with the presence of both Grade 1 and Grade 2 listed buildings, development is closely monitored and controlled by various outside bodies. These are the criteria upon which applications are judged, and by setting them out in this manner it is hoped that all parties will appreciate that the decision making process is both transparent, and based on the principle of preserving the nature of the estate. The original planning consents for the redevelopment of Northwick Park were granted only because the developer proposed a low-density plan with a very high standard of design, consistent architecture, and the use of traditional materials and it is the duty of those running the company to uphold these original criteria. The Board are, however, extremely sensitive to the fact that the planning approval process embroils itself in the rights of (in the main) freehold property owners. As such, there are mechanisms built in to the process which are designed to enable residents to achieve their desired aims, whilst the Park meets its objectives as well. As will be seen later in the document there are opportunities before the application stage for residents to discuss their plans with the Board and address any potential areas of concern before they are formally submitted. Furthermore, if a plan is not approved, residents have the right of appeal and a procedure is in place which residents can utilise if they feel their application has not been fairly judged. The appeal procedure is discussed later in the document. In addition to assessing planning applications the Board is also charged with the enforcement of the covenants concerning development. In the past there has been a lack of clarity over the action the Board would take in the event of infringements of these covenants. Firstly it is hoped that this document and the steps described herein will prevent any disputes or infringements occurring. However, should there be a breach of the planning regulations (and a resident develops without seeking approval, or despite approval being withheld) a warning would be issued within 14 days of the breach being brought to the attention of the Board with notice to rectify the breach within 28 days thereafter. If the breach is not rectified within that time then an application will be made to the court for an injunction to have a property returned to its original condition, and/or an injunction to prevent further work being carried out. Recovery of all legal costs associated with enforcing the covenants will, in addition, be claimed from the house-holder in breach. This action has not been taken in the past (and would be most unwelcome, and hopefully unnecessary in future) but these are the steps the Board would take to protect the interests of the Park and its residents. During the 20 or so years since the Park’s redevelopment there have only been a few minor infringements of the Northwick Park planning system. Clearly action cannot be taken to deal with these infractions retrospectively. However, any contraventions of the planning criteria made before the publication of this document will not be considered to represent a precedent for any future applications. Having dealt with the background, the document now addresses the specific stages of the planning process. First is the Application Stage. Prior to incurring any planning or architects fees residents are advised to sketch out a simple drawing of the project/alterations/extension/building work etc they would like to undertake. In the first instance this should be shown to any neighbours who would be directly affected by the work to solicit their opinion. Having collected feedback from neighbours, the rough plans, together with the comments collected, should be passed to the Board. At this point the resident should advise the Board whether they intend/are required to seek planning approval from Cotswold District Council (CDC). The Board will consider the proposals and respond with an approval in principle, a rejection, or suggestions on how the proposal could be amended to become more approvable. Once an approval in principle has been received residents can engage professional advisors with more confidence. Comprehensive drawings of the proposed work prepared to a professional standard. Where necessary these drawings must show proposed building work in relation to adjacent property(s) and boundary(s) including relevant elevations. Details of the proposed building materials, and confirmation that only materials that are a perfect match (in terms of size, colour, texture, source and used/new) to those already in use in that specific area of the Park will be utilised. The anticipated commencement date of the work, and the likely length of the work. Confirmation that the resident will be in residence during the building work. If the resident will not be present at the property during the works, details should be provided on how often they will be on the Park (and who should be dealt with on site in their absence), and what provision they will make to ensure contractors’ compliance with any conditions in their absence. Commentary on the proposed location of builders vehicles, skips, building materials and portable toilets during the work – if these are not able to be located on the residents property. NB the Board reserves the right to withhold approval if the location of the items mentioned above is likely to inconvenience other residents. Notification that the plans have been sent to CDC for approval, if required. Finally a contact number and email address for the applicant. The Board will acknowledge receipt of the application, and should further information be required it will be requested at this stage. Once a full application has been received by the Board it will be circulated to relevant neighbours, and their opinions will be sought and considered by the Board. Members of the Board will also visit the site and discuss the application with the applicant, if necessary. A copy of the notice that will be sent to neighbours, once feedback has been received from nearby residents and the Board has had time to consider the application, a formal response will be issued. The Board will discuss the proposal and a vote will be held to approve or reject the application. (a majority vote is required for approval, with the Chairman holding the casting vote in the event of a deadlock). A formal response to all planning applications will be provided by the Board as soon as possible. Should the application be approved, a notice setting out any relevant conditions will be sent to the applicant together with the Northwick Park building works code of practice. any changes to the approved plans (of significant or material nature) must be submitted to the Board for additional/further consideration and approval. likewise, if there is a dramatic change to the agreed timetable of work the Board should be informed. residents should also keep neighbours informed of any material changes to the plans or timetable. finally, the Northwick Park building code of practice should be adhered to, in order to ensure the whole project goes smoothly for all concerned. A copy of the building code is set out in the next section. Should the application not be approved, the Board will ask to meet with the resident in question to explain why the application was rejected. The reason(s) why the application was not approved will also be set out in writing. Residents have the right of appeal, and if they wish to exercise this right they can make it known to the Board at the end of the meeting convened to explain the reason for non-approval. The appeal process is set out in appendix 4. The right of residents to enhance the value of their properties and quality of life through the development of their properties is fully recognised. However, any building work undertaken will inevitably cause some inconvenience to neighbours and it is equally recognised that all residents have a right to enjoy a peaceful and quiet life on Northwick Park. In order to reconcile these opposing interests, the following code of practice has been designed with the intention of helping all parties (residents carrying-out work, their tradesmen, and their neighbours) enjoy a trouble-free time during any project. Residents undertaking work should liaise with neighbours on a regular basis to outline the progress of the building work, and to provide them with the opportunity of expressing any concerns they might have. If you (the resident undertaking the work) are not intending to be in residence during the building works, you agree to visit the site at least every two weeks to ensure that your contractors are complying with the code of practice, and that your neighbours can discuss any issues with you. Please advise your neighbours in advance of your visit. Parking is limited on the estate, so ensure tradesmen do not obstruct residents with their vehicles or take up too many of the visitor parking spaces. All building materials are to be kept within the confines of your property and, wherever possible, should be out of neighbours’ direct sight. Skips should be taken away on a timely basis as it is not fair to subject neighbours to prolonged views of unsightly building waste. Contractors should be asked to limit the size of vehicles they use for deliveries if accessing your site is difficult and where damage might be caused to the Park and its infrastructure.